Louvers are commonly used to create vents. 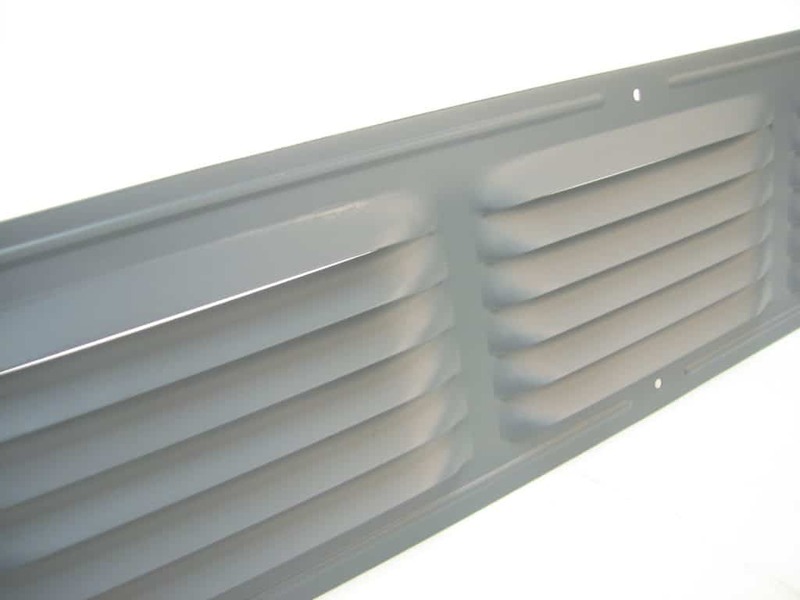 Enjoy higher throughput with louver punch tooling that works quick and cost less than many other solutions. Designed to be used with punch presses and brake presses, you won’t have to incorporate any new technology. Simply order one of our dedicated setups designed for your use, follow the easy setup, and you’re ready to go with little training or ramp up time. Give us a call or request a quote today and start enjoying the competitive advantage many manufacturers have already realized. 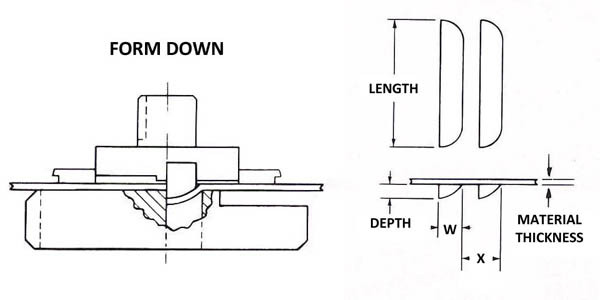 When placing an order or requesting a quote, please send a drawing indicating the dimensions as shown in the photo below.